Before our Haus renovations began, we worked with Jordan Weiland Photography, and a host of talented Lakeland vendors, on a shoot for the Lakelander magazine’s 2016 summer bridal issue. 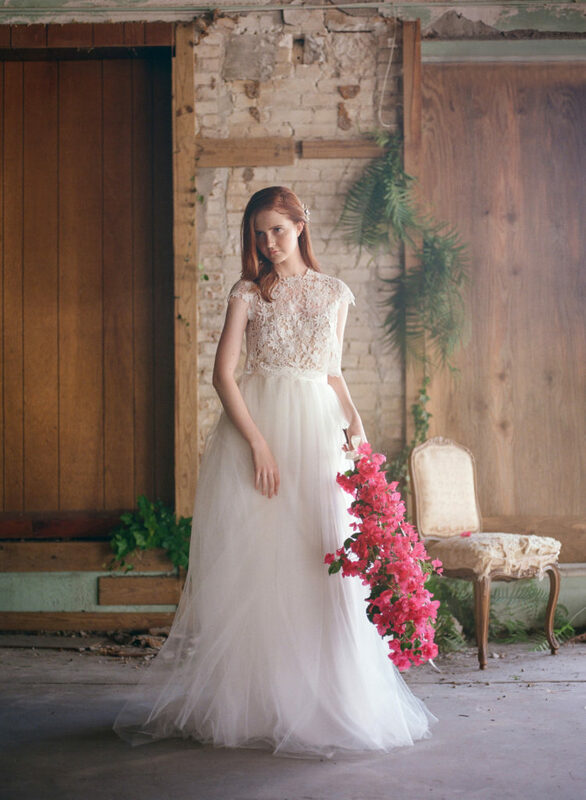 There were three different gown designers featured in this shoot, and the florals were created by Ashton Events. If you’ve read more about our history, you might recall us mentioning the green plaster that had covered up the walls for years. You can see it in background of these pictures, as well as the gorgeous, original white brick peaking through the bottom! At the time of the shoot, all of the north-side windows were still boarded up, as seen in the stunning bridal portrait below. 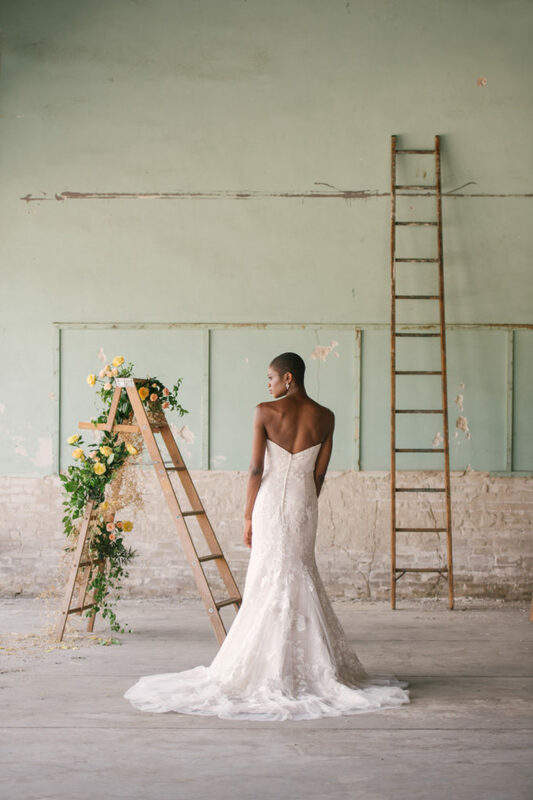 While we are so grateful to have our big, industrial windows now, it was a beautiful backdrop for this gorgeous gown made by our fellow Lakelander, Olivia Gray Design. If you want to see more from this stunning shoot, the whole spread can be found here.